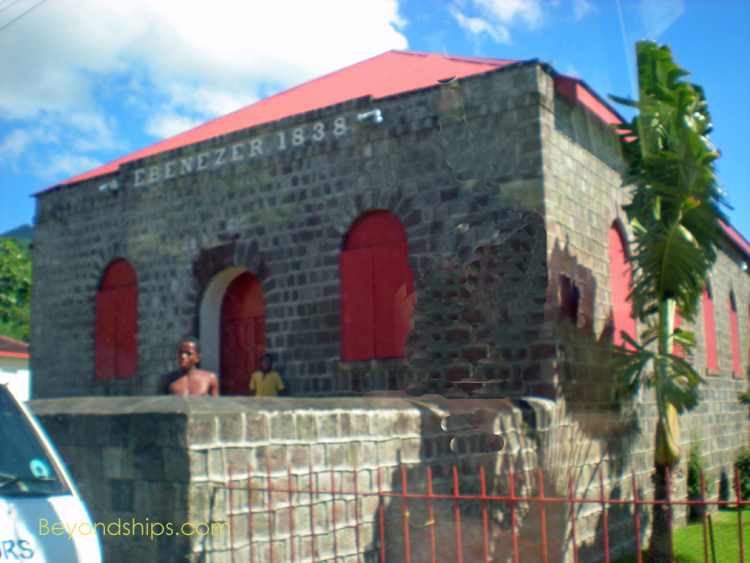 Above: The Old Treasury Building in Basseterre was at one time the customs house for the island. Today, it houses the National Museum. St. Kitts was first inhabited around 3,000 B.C. by hunter gathers who had migrated there from Florida. They were followed by the Saladoid people in around 1,000 B.C. and then by the Arawak Indians in 800 A.D. As happened on many of the Caribbean islands, the Carib Indians invaded St. Kitts in 1300 and displaced the inhabitants. Although the island was claimed by Spain, the first European settlement was by French Huguenots in 1538. However, it was raided by the Spanish and the settlers departed soon thereafter. In 1607, English colonists bound for Jamestown, Virginia, stopped but did not settle on St. Kitts. After unsuccessfully attempting to establish a colony on the South American mainland, Sir Thomas Warner established an English settlement on the island in 1623. A few years later, Pierre Belain d’Esnambuc arrived on the island leading a group of French settlers. Although relations between the Caribs and the English had initially been good, they were beginning to deteriorate. Thinking that it would be good to have more Europeans on the island in the event of war with the Caribs, Warner decided to allow the French to establish their own settlement. The ingredients were now in place for years of conflict and bloodshed. The Caribs, suspicious of the growing number of Europeans, planned a surprise attack. However, one of their Arawak slaves warned Warner. The English and French combined to make a preemptive attack, which massacred the Carib warriors. The remaining Caribs were expelled from the island. As the European settlements grew, the English and French came to an arrangement whereby the English would control the middle of the island and the French would control the two ends. However, periodically over more than a century, European wars would break out and one side or the other would conquer the other’s holdings on St. Kitts. The entire island was eventually ceded to Great Britain in 1713. However, the French made one last attempt to take the island in 1782 but again ceded it to Britain the following year. 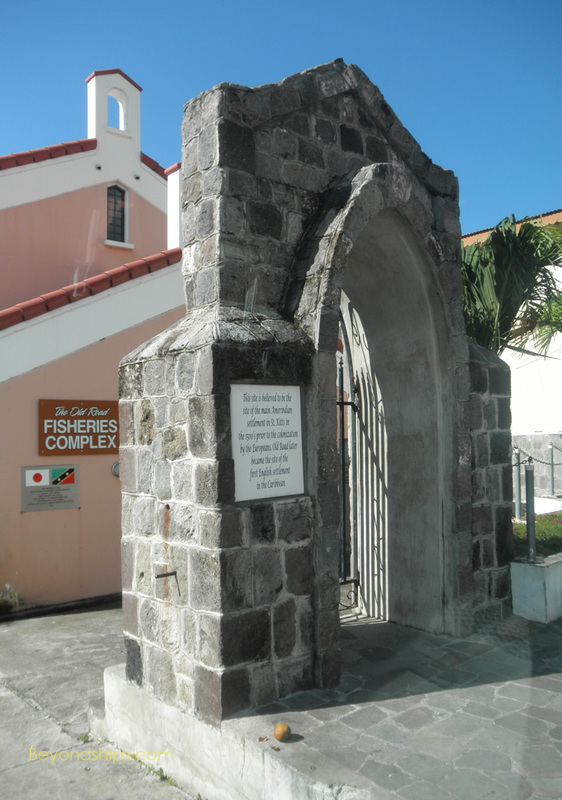 St. Kitts remained British until it became independent. establishing tobacco plantations. However, this trade began to suffer due to competition from the Virginia colony. Consequently, the plantations switched to growing sugar cane starting in 1640. The sugar cane thrived in St. Kitts’ rich volcanic soil. However, the process of harvesting it and turning it into sugar, rum and molasses was labor intensive and so the Europeans began to import Africans slaves. 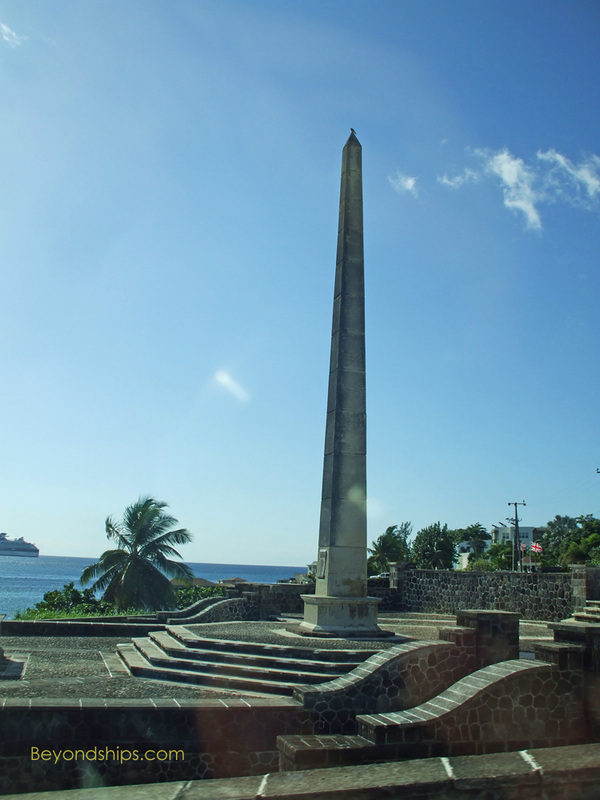 By 1776, Saint Kitts had become the richest British colony in the Caribbean, per capita. In 1807, Great Britain outlawed the importation of slaves and in 1834, it abolished slavery throughout the British Empire. Meanwhile, it had been discovered how to make sugar from beets. Without inexpensive slave labor, it was difficult for sugar cane to compete. As a result, the sugar cane industry went into decline throughout the Caribbean over the next century. Primarily because of its fertile soil, the sugar cane industry on St. KItts was able to survive longer than on some other islands. Indeed, St. Kitts remained the largest sugar producer in the Eastern Caribbean until 2005, when the island’s government closed down the sugar cane industry entirely due to its huge losses. various other British possessions for administrative purposes. It was part of the colony of the Leeward Islands from 1871-1956, and of the West Indies Federation from 1958-62.
autonomy. In 1967, together with Nevis and Anguilla, St. Kitts became a self-governing state in association with Great Britain. (Anguilla seceded later that year and remains a British dependency). independence on September 19, 1983. However, the new nation did not severe all ties with Britain, Her Majesty Queen Elizabeth II remains head of state.